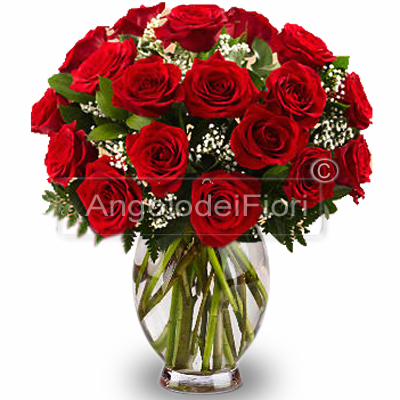 Lovely... this Special bouquet of red roses enriched with seasonal greenery. The roses are perfect for a birthday or an anniversary.. Unique flowers that will never be the wrong choice. This bouquet includes red roses, gypsophila and it is completed with assorted greenery. *Vase not included. You can add one in the next step.